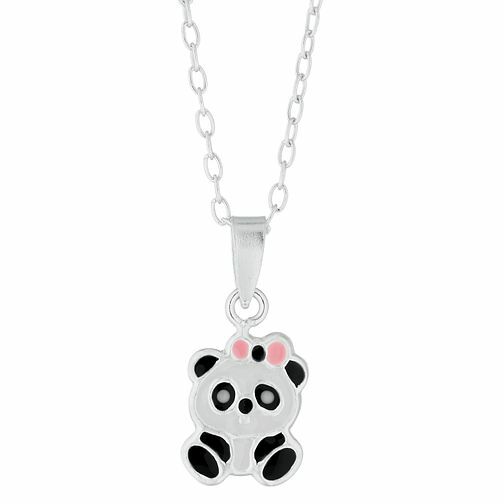 Gift your youngster with this adorable panda pendant. Crafted in sterling silver and coloured with black, white and pink enamel, this fun piece is set on a 14" silver tone sterling silver fine chain. Your little one won't want to take this delightful pendant off!